Here is a sortable data-table. 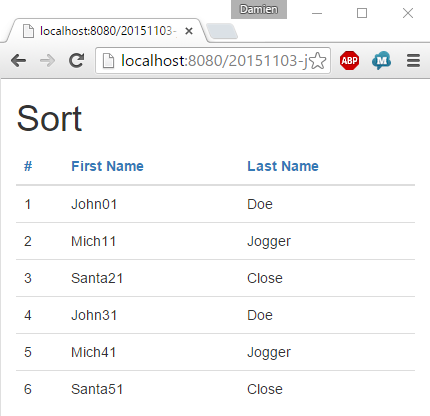 Using Twitter Bootstrap, ng-module SmartTable for front-end. And Spring-Data, Jersey JAXRS for backend. 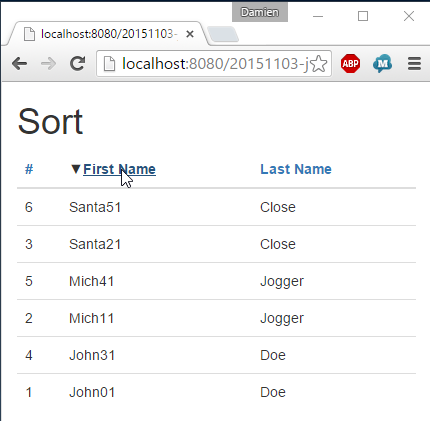 A data-table is displayed, with rows and sorter headers. 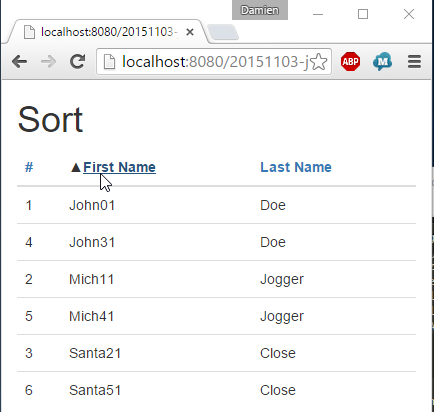 By clicking on row’s header, the row’s data order change and a new icon is displayed. It’s possible to reverse the order. It work with both String and Nubmer type (see Java code).